Inspired by a wonderful and provocative paper from Prof. Whitesides from 2015, I like to lay out in a bit more structured manner my thoughts on the future of chemistry R&D. This is the basic question I try to tackle in this blog:How do the upcoming or already ongoing technological (mainly but not exclusively digital) disruptions change the way chemistry research and innovative product development is happening? 500 years are enough: Transform Chemistry Innovation! What is Whitesides writing about? He proposes that the “golden ages” of chemistry are over, half a century of growth fueled by scientific, technical and commercial innovation. Now, real breakthrough, disruptive innovations became rare. But, and this is his main point, a new era is ahead. Whitesides advocates widening our view on chemistry – from the science of molecules and materials towards a science of complex systems and interactions of molecular structures. For sure, many challenges today and in future need “chemistry” as the solution. Not necessarily new chemicals – but an understanding how molecules interact. The fields are endless: studying biological systems and the chemistry of life itself, finding sustainable(!) solutions for clean water and healthy food for 7+ billion people, finding materials for energy generation and storage or new, sustainable resources for the materials of our daily life. What changes can we expect for the way we actually DO knowledge generation – science, research and development – in chemistry? On a very abstract level, not much changed since the days of Lavoisier and even the al-chemists. Alone or in little teams, (a) creative person(s) experiment with matter and try to figure how this matter works. The central point is the laboratory. Recently I saw a presentation from a laboratory equipment producer. 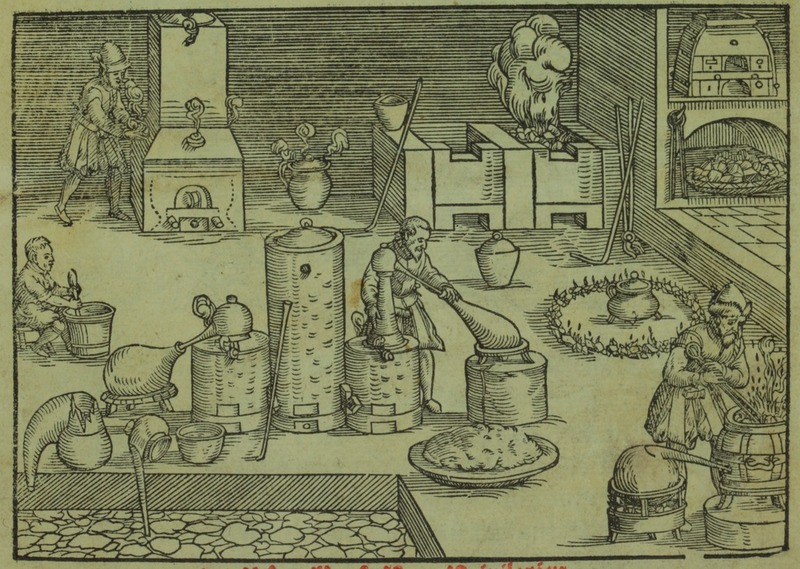 The presenter made exactly this point, showing pictures from laboratories from 5 centuries: all equipped with ovens, shelves, fume hoods, vessels, distillation equipment, etc. The presented innovation was a multifunctional working bench surface – a sort of mix of the surfaces in that hypermodern kitchen with a touch screen. But is this radical enough? With artificial intelligence (AI), robots, and the internet of things (IoT); will there be a laboratory at all anymore, as we traditionally know it? A laboratory equipped for humans, with humans executing experiments? The way we inquire the matter (aka we do laboratory work) will be disrupted with advances in analytical techniques, robotics, AI and other technology innovations. The quantity and quality of the information we gain about the molecules and their complex interactions will increase exponentially. Based on this different quality of information, the way we process this information to create knowledge need to be and will be disrupted mainly by advances in digital data processing and visualization as well as by the application of artificial intelligence. This disruptions lead to a new role paradigm for the “chemists”. From experts for molecules, materials and processes they transform to experts for molecular interactions and complexity. As Whitesides proposes, this will happen in an open field, in communication and interaction with other sciences and professions. The work organization both in academia and industry “laboratories” will change, as the attitude and skill-set of the “chemists” has to. I will lay out my thoughts more in detail in a set of short articles to become more specific for the single points I made. I think I have some evidence for my thesis, but of course I do not have proof. The nature of these thoughts is more philosophical. That’s why I very much appreciate thoughts, ideas, and critics from my peers. This entry was posted in Innovation, Innovation, Publication, Thoughts and tagged chemistry, Development, Entwicklung, F&E, Forschung, Innovation, R&D, Research, Transform Chemistry Innovation. Bookmark the permalink.